In line with international rates, fuel prices in the UAE has been raised for February 2018, an increase for the third consecutive month. As per new rates, 98 Unleaded gasoline price has been increased by 5.3 per cent to Dh2.36 while 95 Unleaded gasoline will cost Dh2.25 next month, an increase of 6.1 per cent. 91 Unleaded Gasoline price for February has been raised to Dh2.17 from Dh2.05 in January, which is an increase of 5.85 per cent and the diesel price has been increased to Dh2.49 from Dh2.33 per litre. According to the Ministry, all the prices are inclusive of five per cent Value Added Tax. 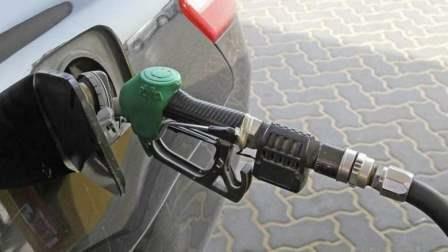 INTERACTIVE: Fuel Price in UAE, How much do you pay every month? Fuel prices have reached all-time high since the government announced deregulating the prices in August 2015. The UAE started deregulating prices in August 2015 when 98 Unleaded Gasoline and 95 Unleaded Gasoline were priced at Dh2.25 and Dh 2.14 per litre - respectively. Bank of America Merrill Lynch has projected that the crude prices will remain higher in 2018 due to decline in oil inventories. "Drop from the current reported level of 2.90 billion barrels in November 2017 suggests that oil prices will likely be higher in 2018 than we originally expected and we now project an average Brent crude oil price of $64/bbl in 2018, compared to $56/bbl prior. Put differently, we now expect Brent crude oil prices to average $9/bbl or 17 per cent above last year in 2018," the US bank said in its forecast earlier this month. Fuel prices had also risen in January.